The 7 arm Vintage candelabra is a new collection item, The glass shabby chic effect of the candelabra creates a warm welcoming table centre. Equipped with 7 arms its one of the largest we currently hold. 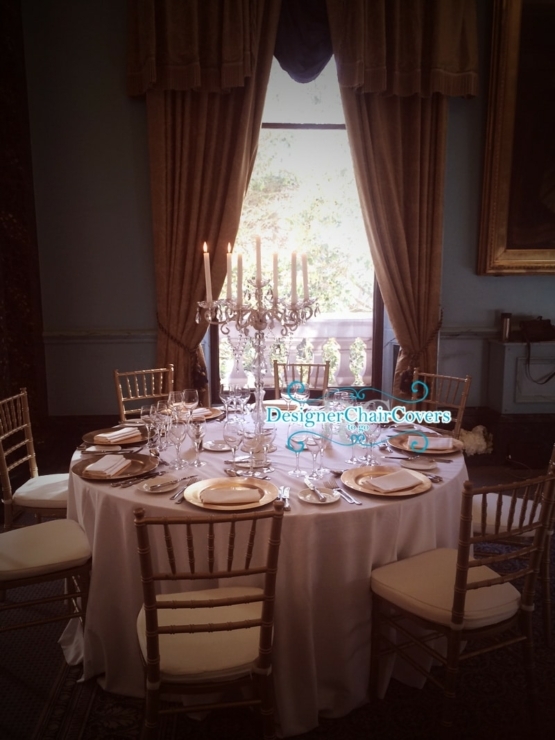 Featured in the photograph with our gold chiavari chairs for the perfect Downton Abbey regal look! 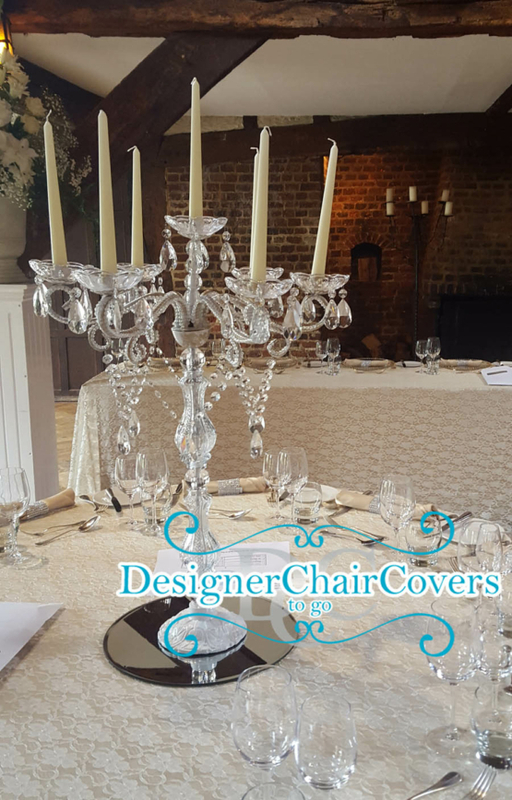 Vintage glass candelabra for hire. 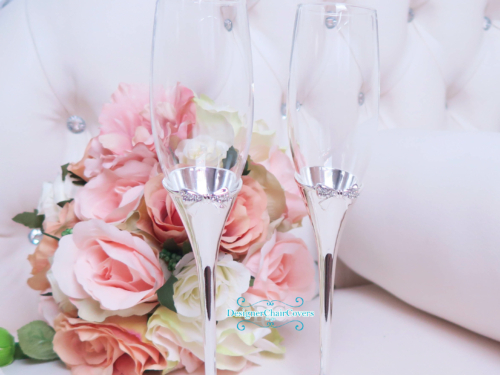 7 arms and beautifully delicate with glass hanging crystals. 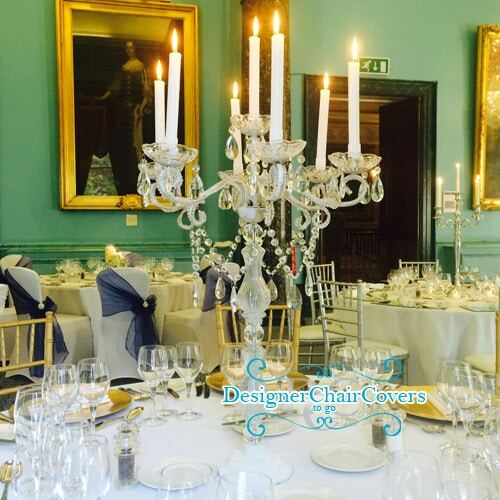 The photographs feature various weddings we provided our beautiful candelabras for including a Dorchester wedding. 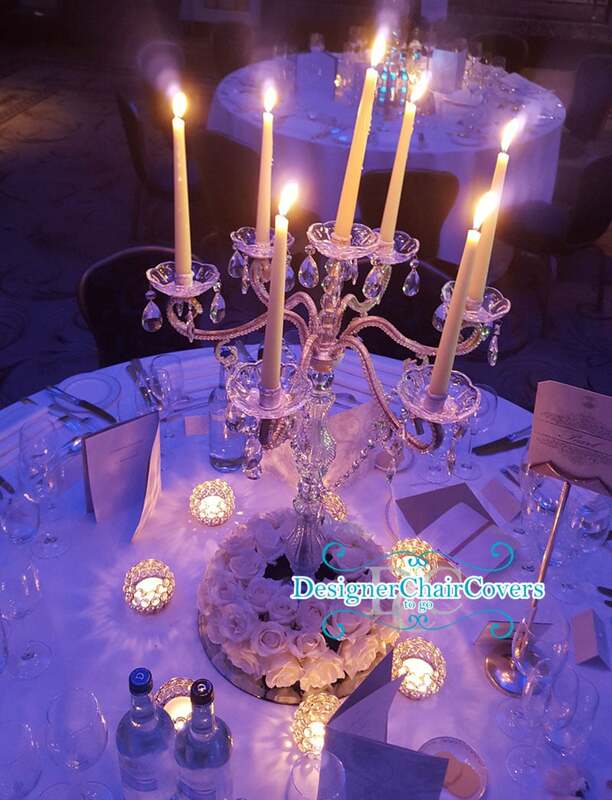 We used a fresh rose floral reef around the base of the candelabra creating a pretty fresh element to the room. 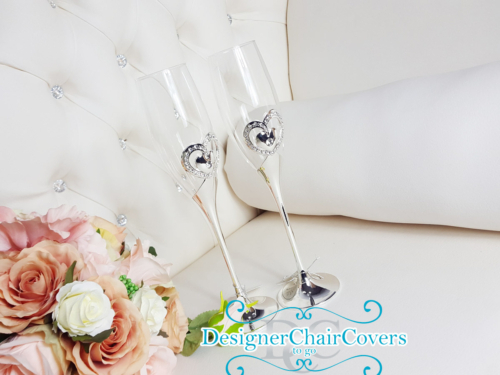 We offer fresh and silk options, since we are a full decor company we can provide all parts of the decor to make something beautiful. Get in touch to discover more..